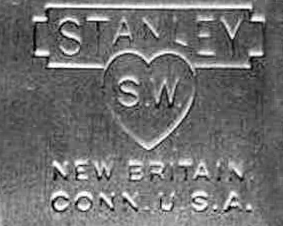 The diminutive Stanley no. 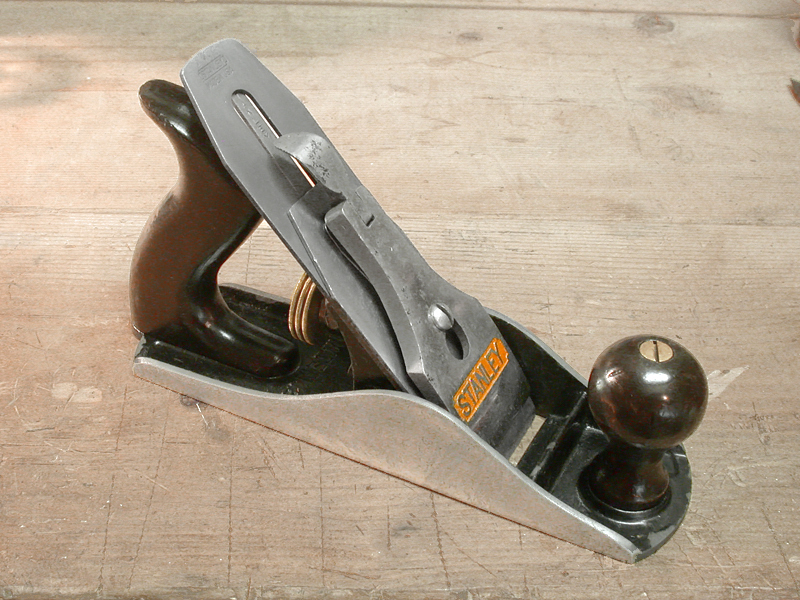 2 plane has long been a collector’s favorite, second only to the tiny no. 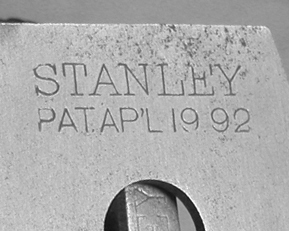 1 in its appeal among bench planes. 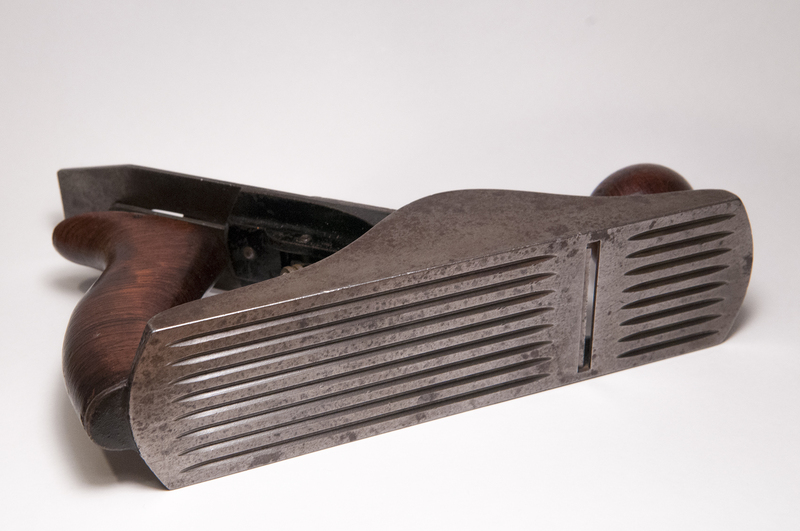 Produced from 1869 to 1961 and measuring just 7 inches long with a 1-5/8″ iron, this smoothing plane is useful for working smaller pieces or in confined spaces. 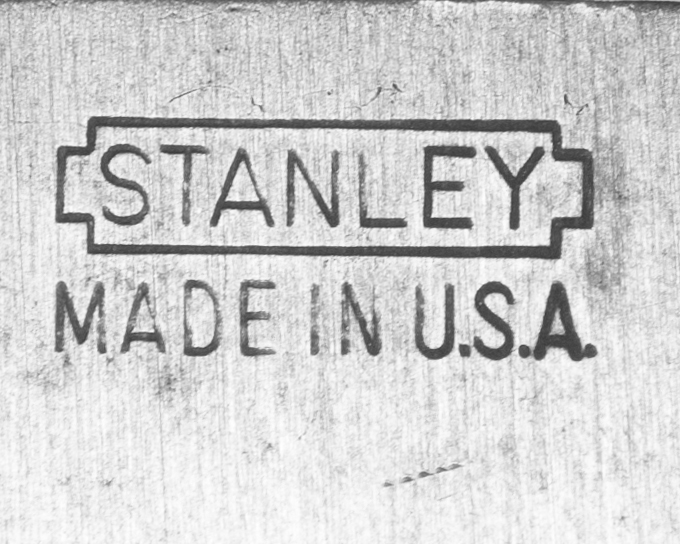 The corrugated version of the no. 2, designated the no. 2C, was never a popular model. 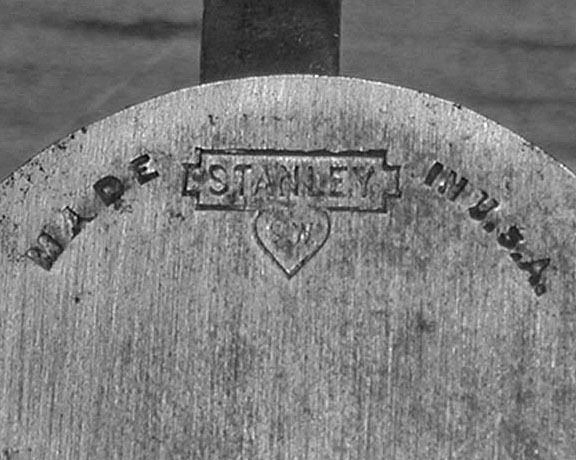 Although offered from 1898 to 1943, comparably few were actually produced, making this one of the rarest of Stanley planes. The corrugations were provided to help reduce friction. Whether or not they actually help, or were a marketing gimmick, is debatable, but the feature was more popular on the larger bench planes than on the no. 2. The no. 2C shown here is part of my personal collection and is currently offered for sale for a limited time. 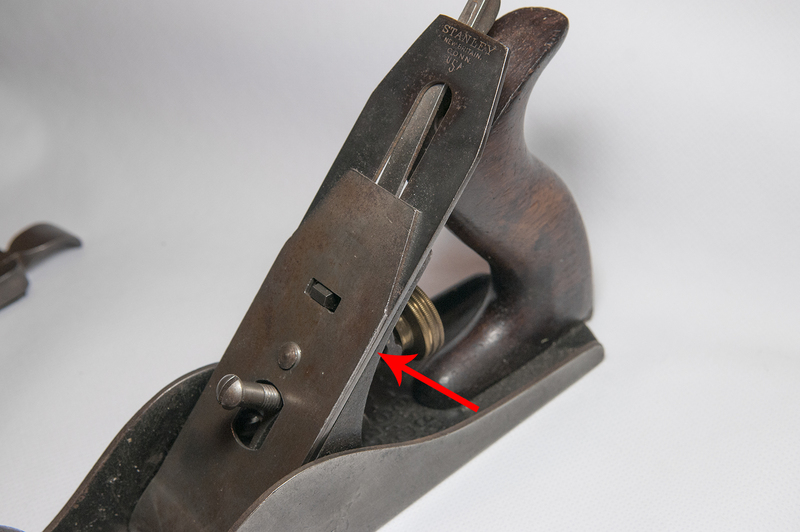 New users of hand planes frequently have trouble figuring out just how to get the iron (blade) to fit through the mouth on the plane’s body. I get this question in both emails and I also see it reflected in the search parameters for those who visit the site. The challenge is to get everything set so the iron extends through the mouth without jamming up at the front of the opening. Well fear not, for here is a simple illustrated guide to getting it done quickly and hopefully without frustration! 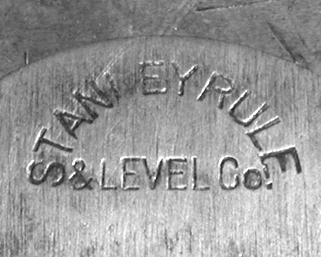 The Lever Cap must be set with enough pressure to hold the iron firmly, but not so tight that the depth adjustment can’t work. There’s a sweet spot there, you just have to find it through trial and error. 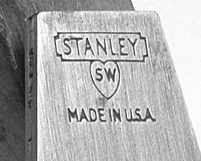 Figure 4 – Stanley planes made after 1907 have a frog adjustment screw, which is used to easily fine tune the position of the frog. 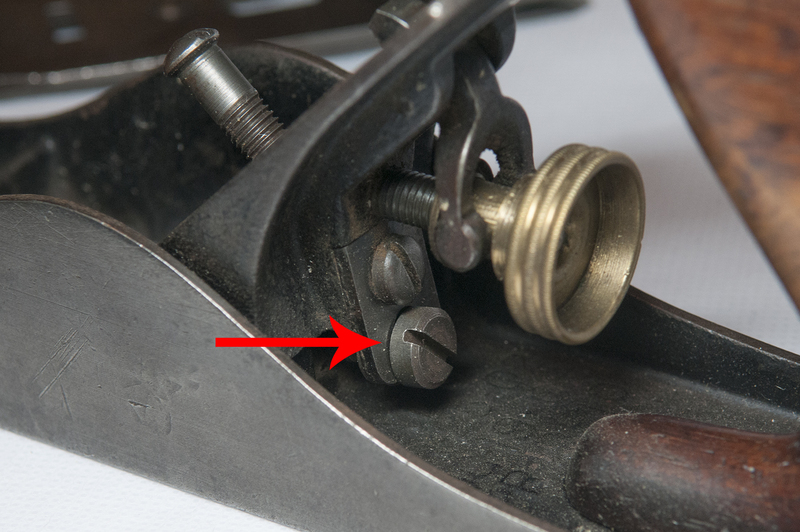 Figure 8 – As you turn the big brass adjustment knob, the iron will move forward and extend down through the mouth opening just enough to shave wood! 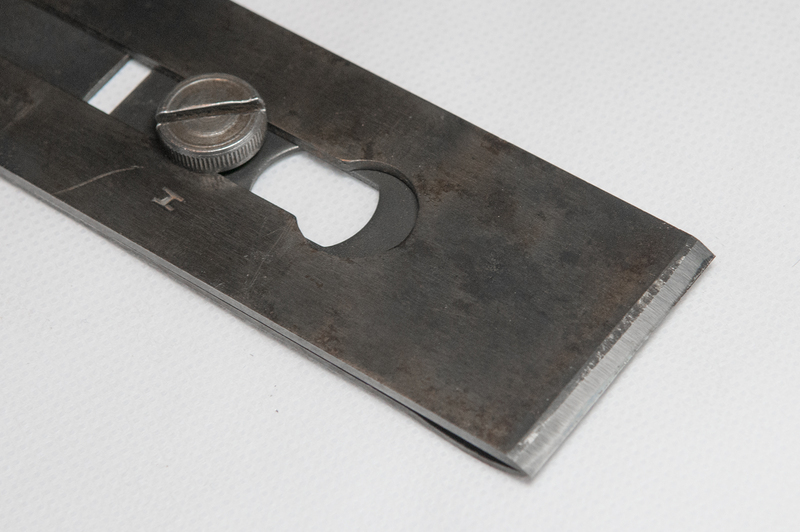 Note that if you’re doing fine finishing work you may need to go back and move the frog forward slightly to reduce the space between the front of the mouth opening and the cutting edge. 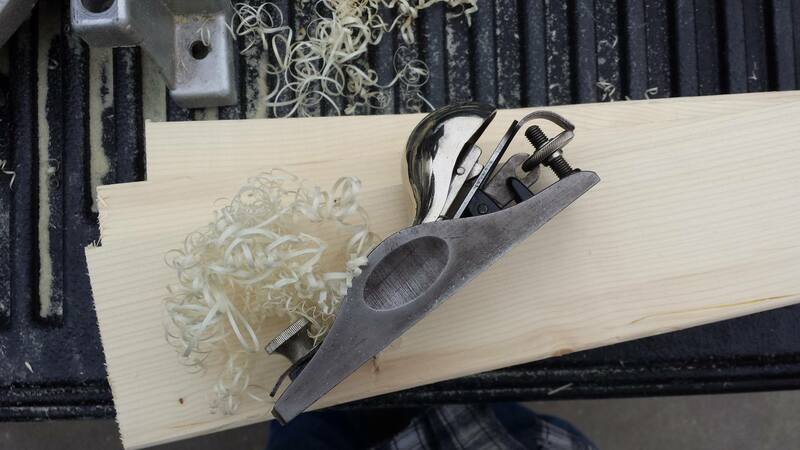 This space should approximate the thickness of the shavings you expect to produce, so it’s typically very small on smoothing planes, while a little larger on jointer and fore planes. 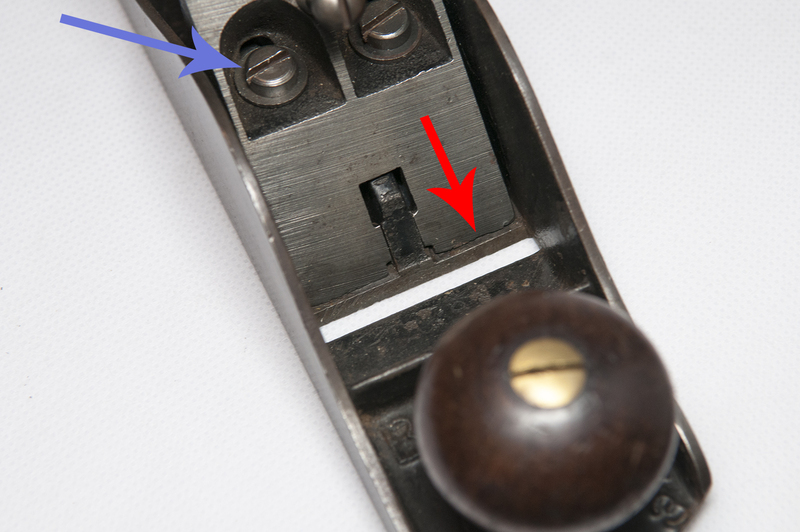 Hopefully this provides answers to questions and solves one of the initial frustrations when using hand planes for the first time! 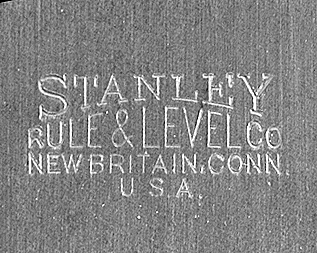 The following reference guide provides examples of Stanley’s trademark stamps from 1872 to the present. 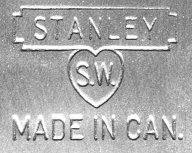 It is by no means comprehensive or complete, but this covers the main trademarks. 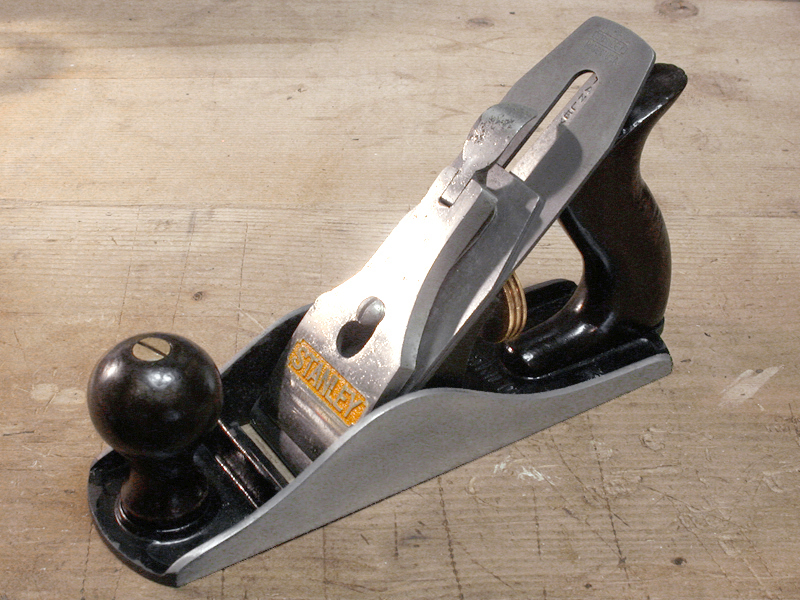 There were often variations used on block planes and other tools. Some of the photos are pretty poor. I will try to photograph better examples as time goes by. 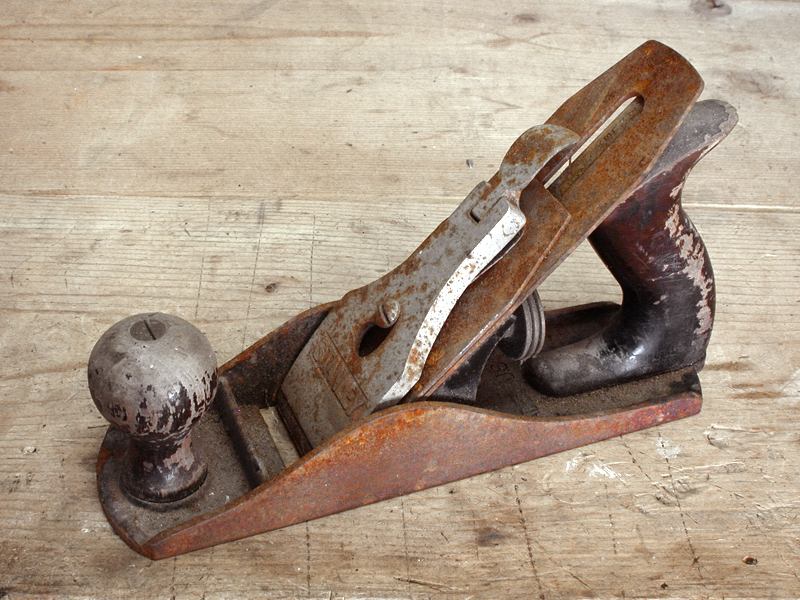 Let’s face it, not all planes and tools are salvageable. Sometimes, the neglect and decay is so extreme that the best you can do is pilfer them for parts. 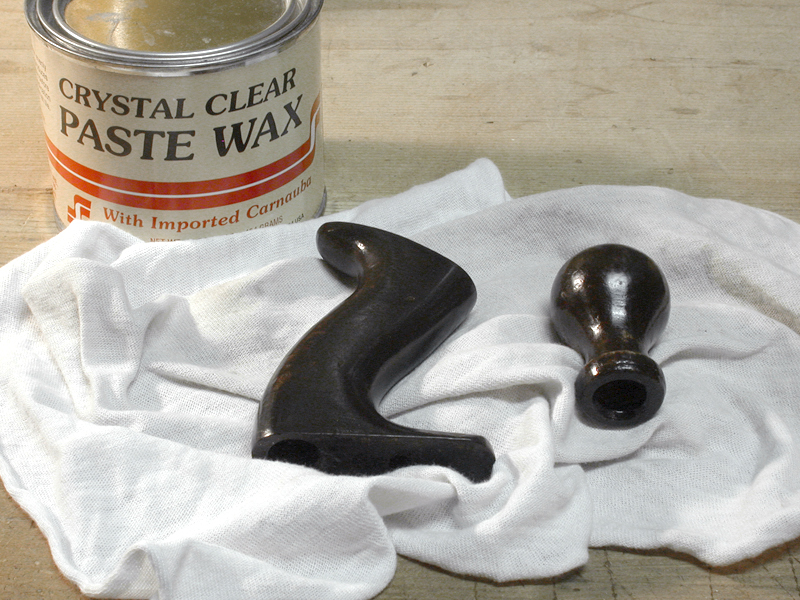 Other times, the tool can be saved, but nothing short of a full refinishing effort is in order. 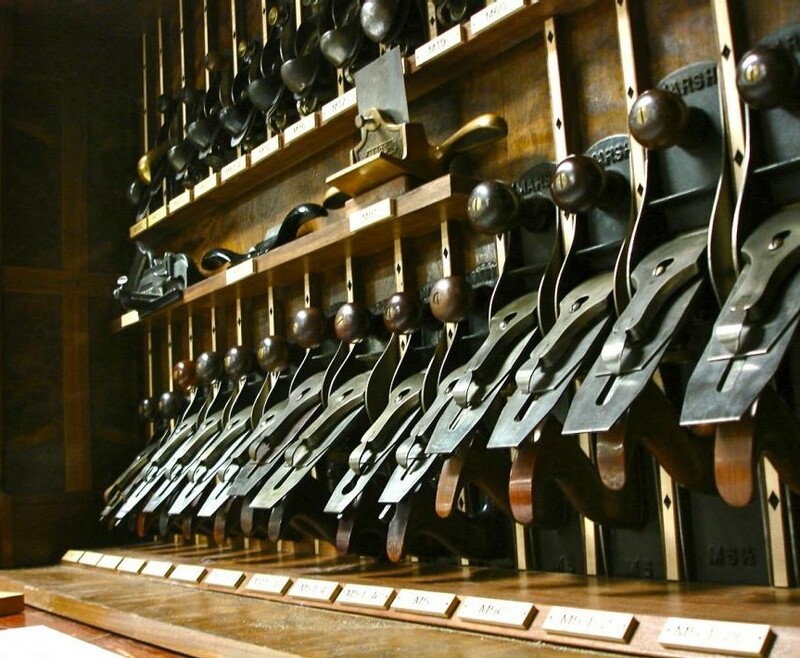 As anyone who reads this blog will know, my principled philosophical approach is one of preservation, to retain as much of the original finish and character of the tool as possible. I focus the majority of my time and effort on tools that are good candidates for that sort of conservative preservation methodology. However, there are tools that occasionally cross my path that require a heavier hand. 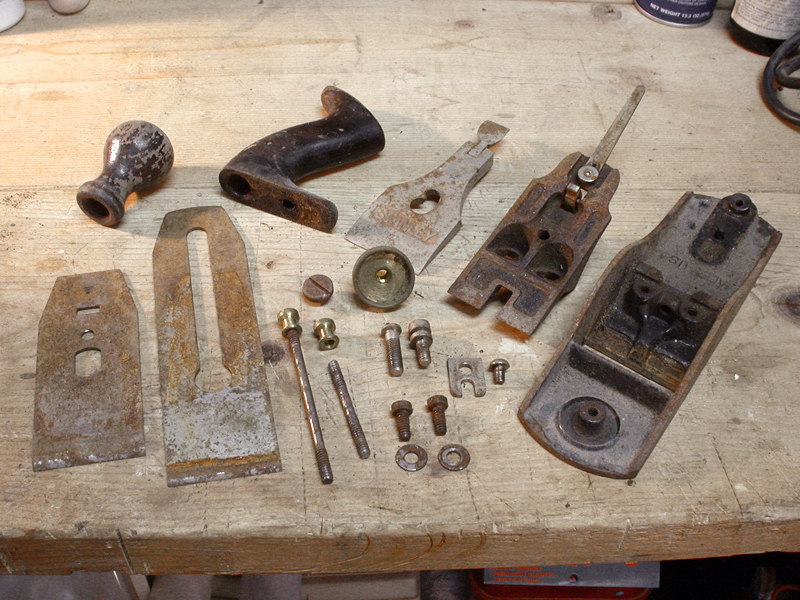 In this post, I will detail one of the many methods you might employ to restore a heavily rusted plane for use. 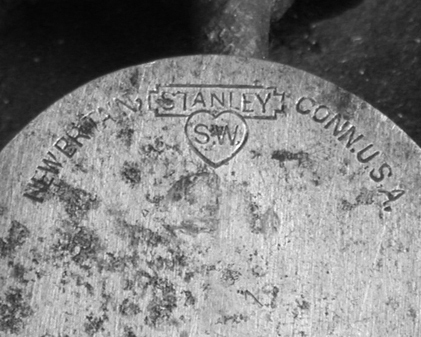 I found this Stanley no. 4 on eBay for around $10 plus shipping. 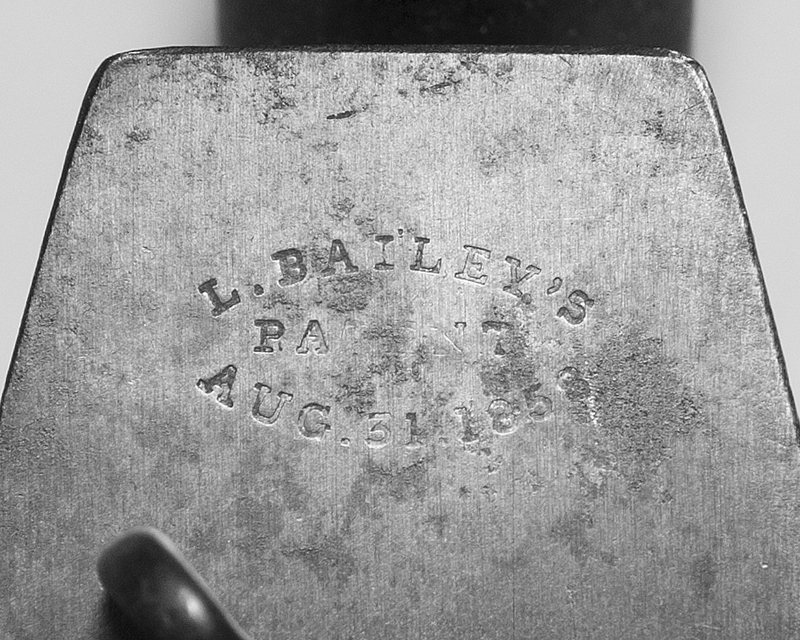 It’s a Type 19, dating from the 1950s, and as you can see from this eBay auction photo, was in horrible condition. 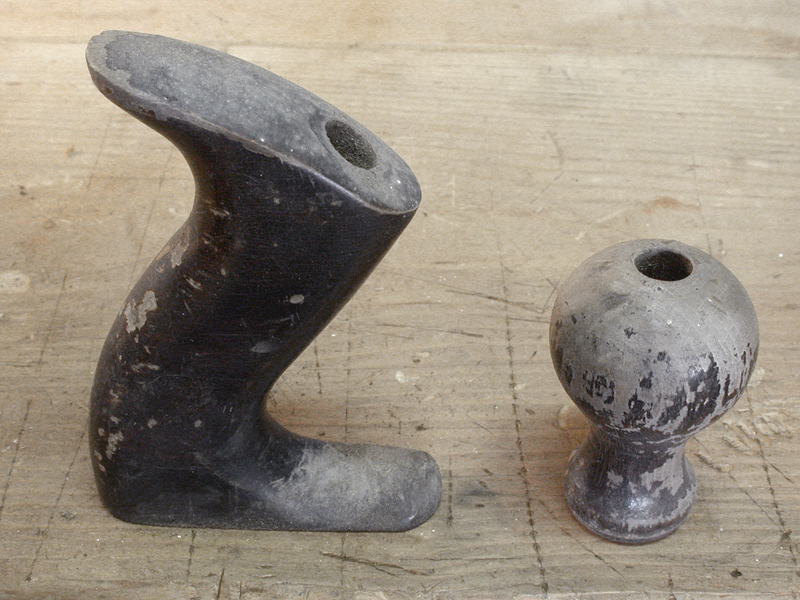 As with any restoration, the first step is complete disassembly. 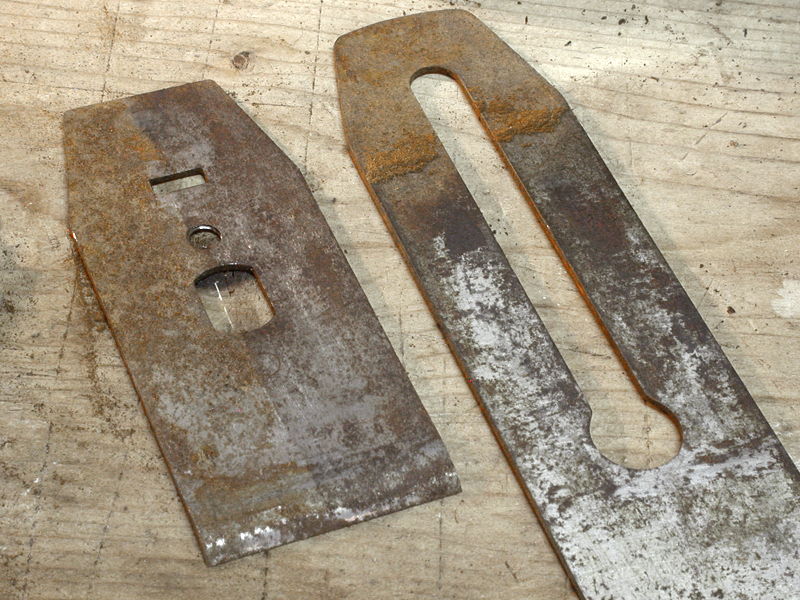 With heavy rust like this, I used a razor blade scraper to remove as much of the surface crud as possible. 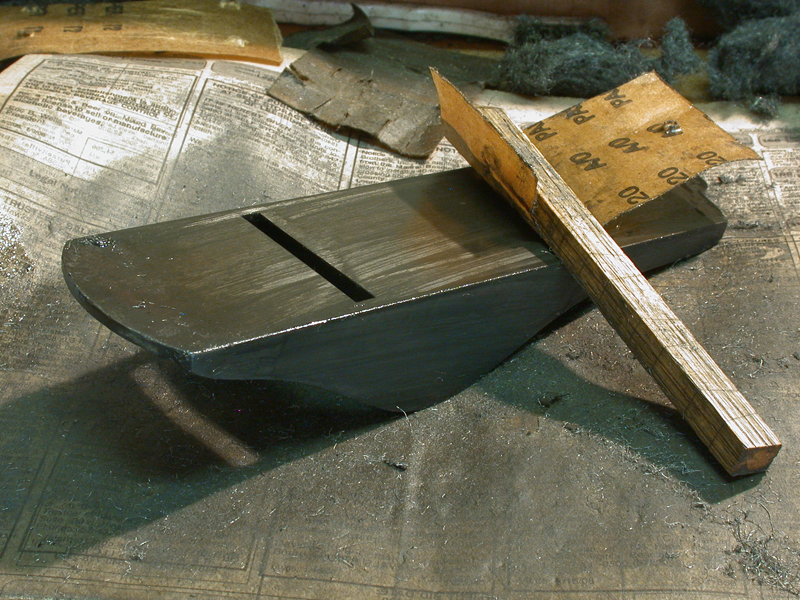 I started with the iron and cap iron, then continued with the plane body and frog face. 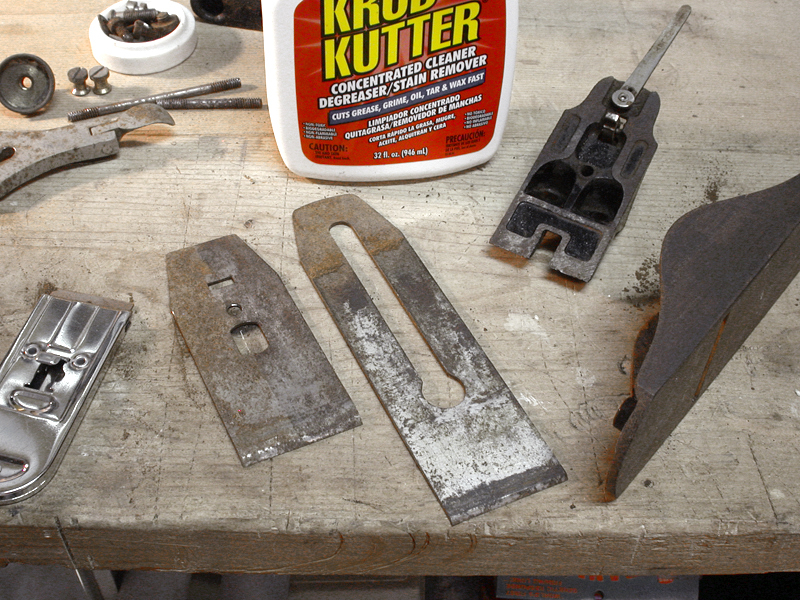 With a little care, this can be accomplished without scratching or gouging the surface of the metal, and it’s amazing how much of the rust you can remove. 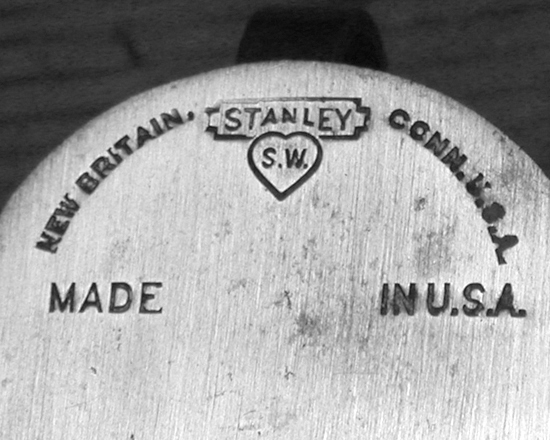 You can see in the photo below the effect of having scraped the right half of the cap iron, and the lower three quarters of the iron. Here’s a close up. Note the difference. 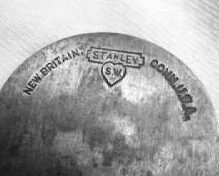 The nice thing about this is virtually all of the patina remains on the surface of the metal. You can leave it this way if you prefer, or continue on as I will show in the next step. 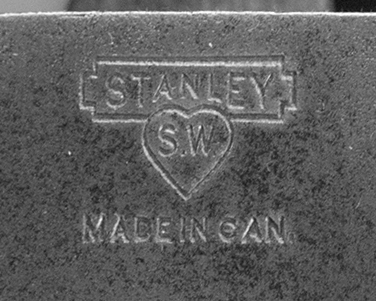 Since this was a later model Stanley (less valuable) and destined for shop use, I decided to scrub it down to a clean surface, removing all traces of rust, corrosion, and subsequently age and patina. There are several ways to go about it at this point (chemical anti-rust agents and electrolysis for example), but I decided to stick with doing it the old fashioned way – elbow grease. Using 220 grit sandpaper lubricated with WD40, I scrubbed down all the exposed surfaces. The light oil really softens the effect of the sandpaper, greatly reducing any visible scratches. 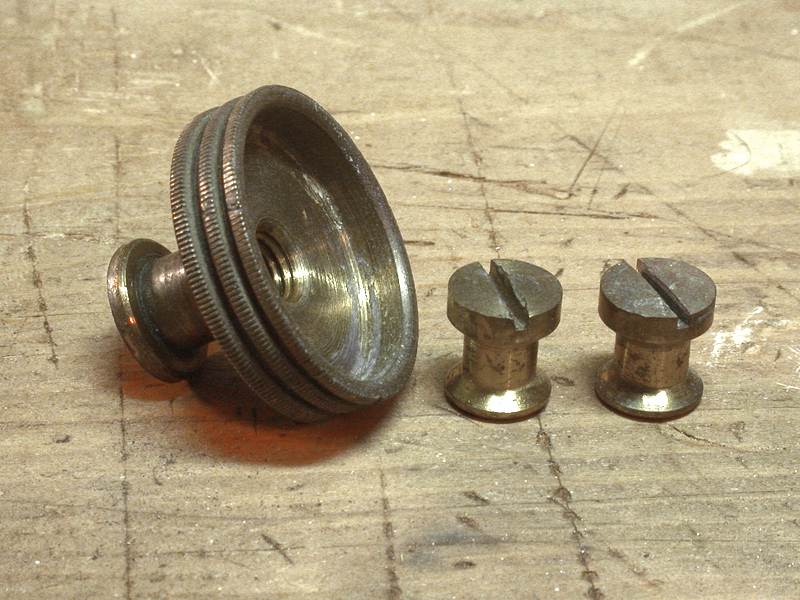 The screws, nuts and hardware were brushed using a soft steel 6″ brush on my bench grinder. Finally, everything was scrubbed using a general purpose cleaner. Low and behold, the japanning on the bed was actually quite good under all that crud. I finished up by using an citrus degreaser (not shown in the photos). As you can see, the difference from where I started is pretty striking. Big difference, huh? This is starting to look like a plane again. 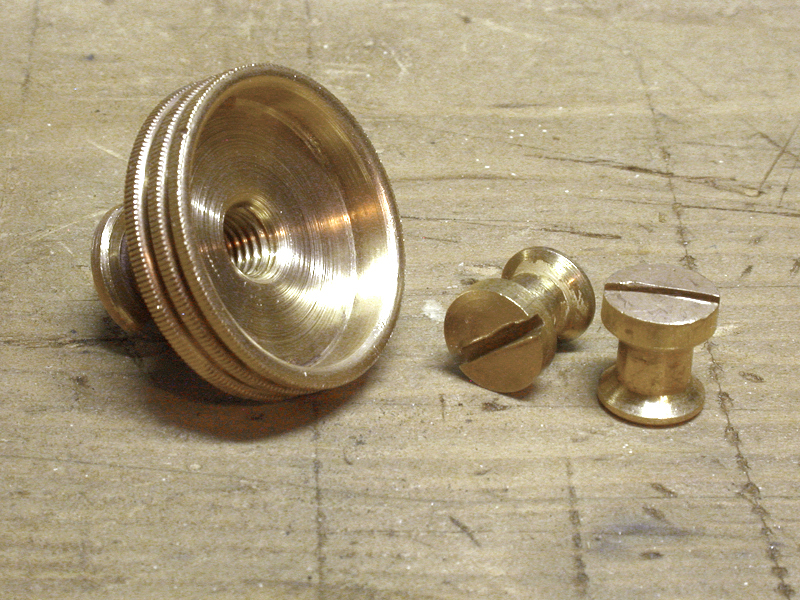 I don’t like my brass components highly polished. 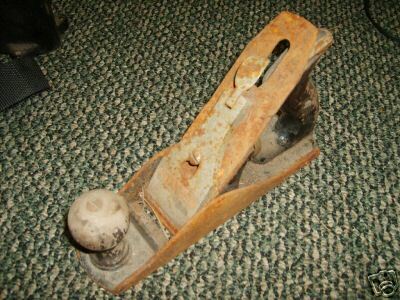 I used oil lubricated steel wool and a small steel brush to clean them up for this plane. The lighting in the “after” photo makes the brass look a bit brighter than it actually was. The final consideration is the hardwood tote and knob. 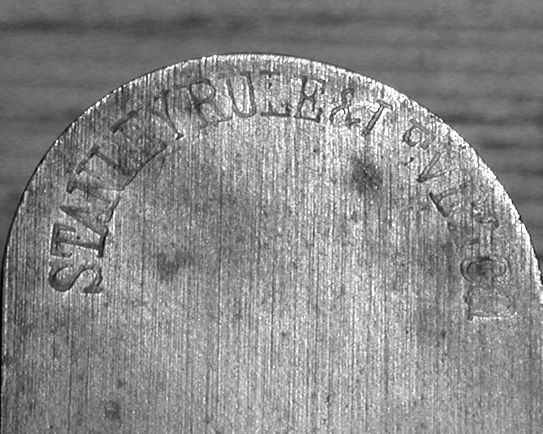 Much of the original finish was gone and what remained was in bad shape. I lightly sanded the entire surface, applied a gel stain, and when dry, topped it with a couple of coats of varnish. Once completely dry and cured, I polished it up using paste wax. 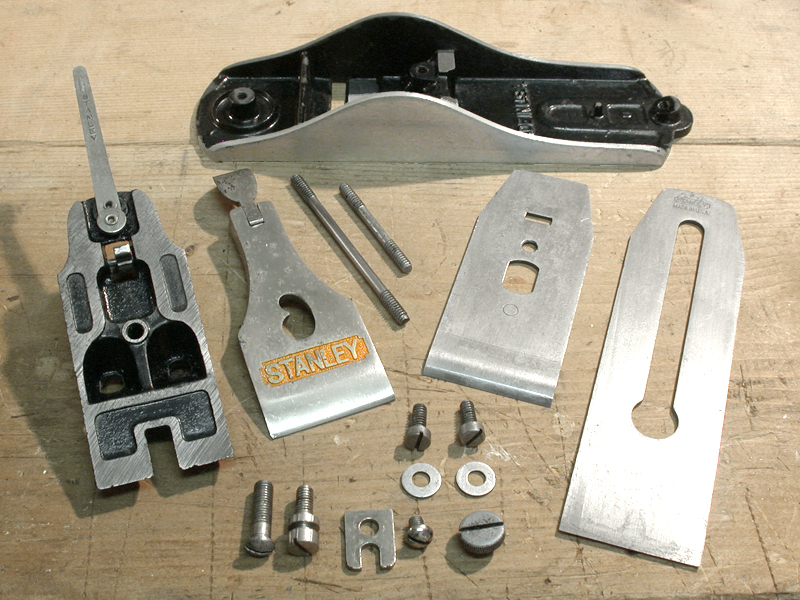 With all the parts refinished and restored, the iron was sharpened and the plane reassembled and tuned for use. 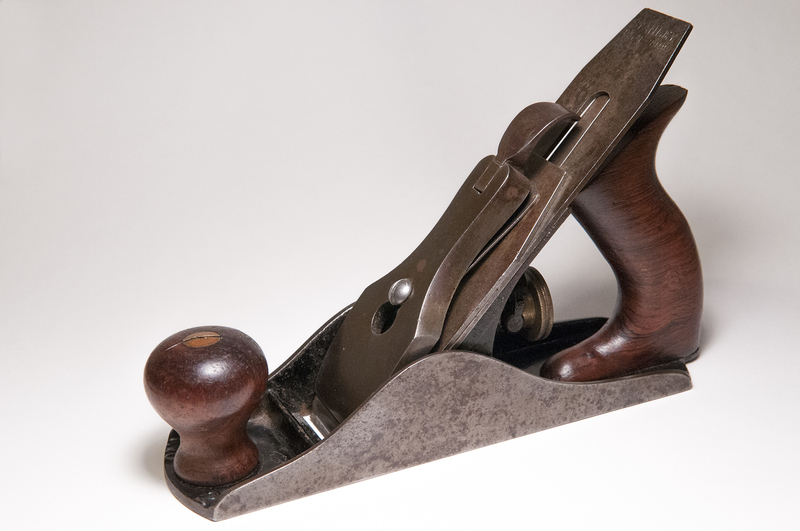 Naturally it doesn’t have the charm of a Sweetheart era, or even the character of a fine condition 1950s vintage, but this plane was saved from the landfill and with proper care, can easily shave wood another 70+ years. 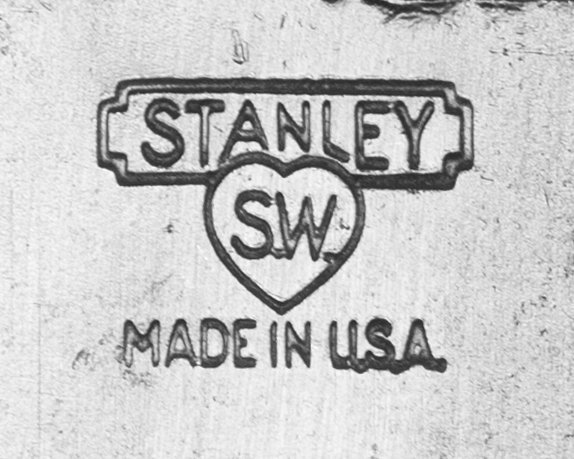 Stanley Gage planes are a little finicky to set up initially, but once you get them set accurately, they do tend to stay that way. 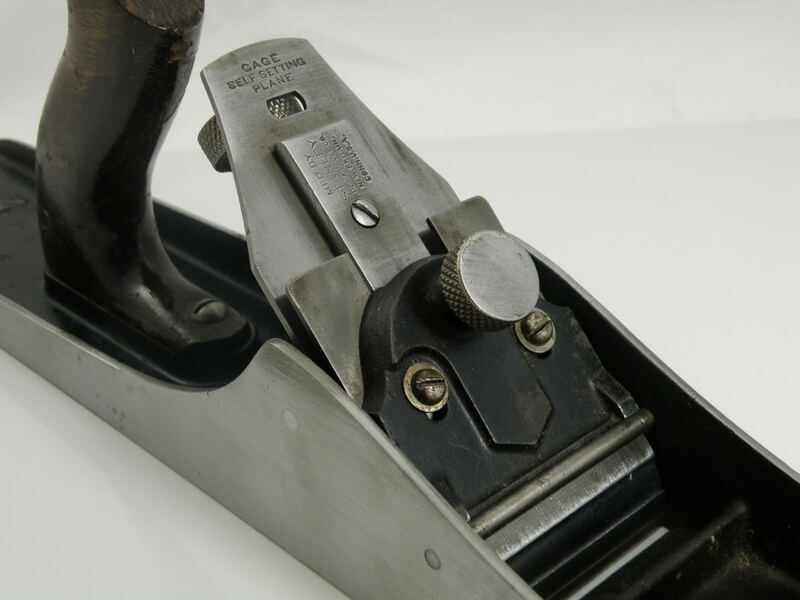 The main benefit of the design is such that once properly set, you can remove the lever cap, iron and cap iron, and then replace them again, returning to the exact depth adjustment at which you had it set initially. 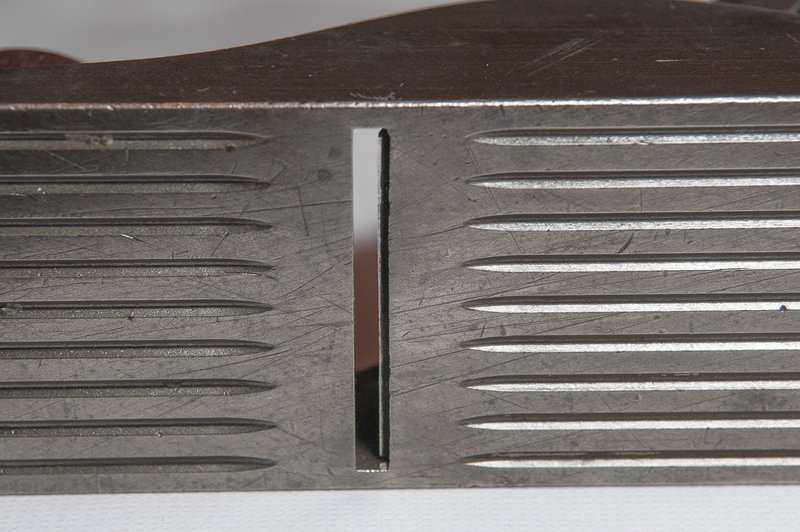 Further, since the iron/cap iron is positioned via an indexing block, there is no slop (movement) from side to side, and therefore no need for a lateral adjustment mechanism. 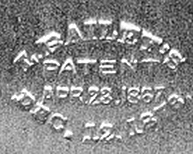 Some people will tell you that in order for the design to work, the cutting edge of the iron must be perfectly perpendicular to its edges. Ideally, that is true. However, I don’t think it’s actually all that critical. 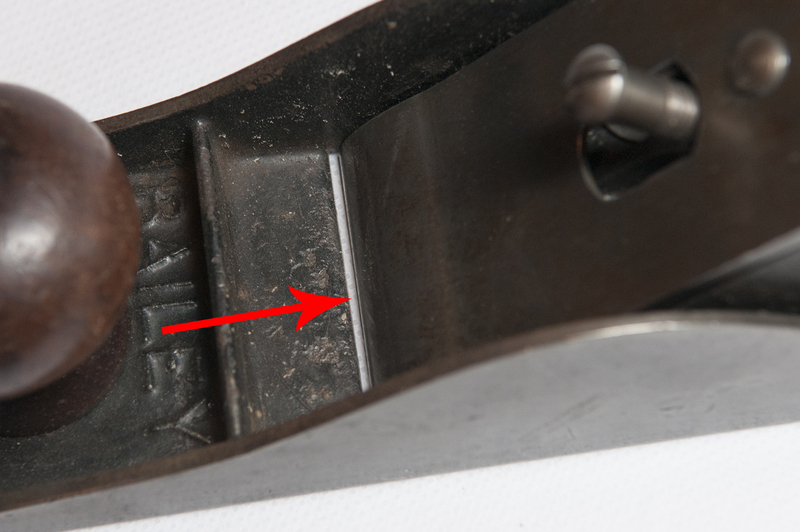 What does need to be perpendicular to the cutting edge is the sides of the indexing block, which can be loosened and adjusted via the screw on the top side of the iron (show here on the left). 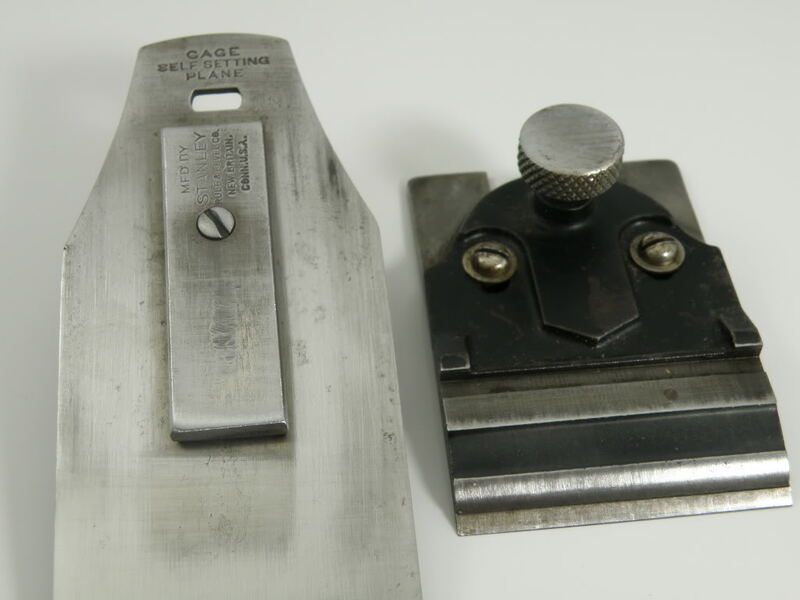 The indexing guide itself, which is attached to the lever cap, is not laterally adjustable, so in order for the iron to extend properly through the mouth of the plane, the iron’s edge needs to be perfectly aligned. 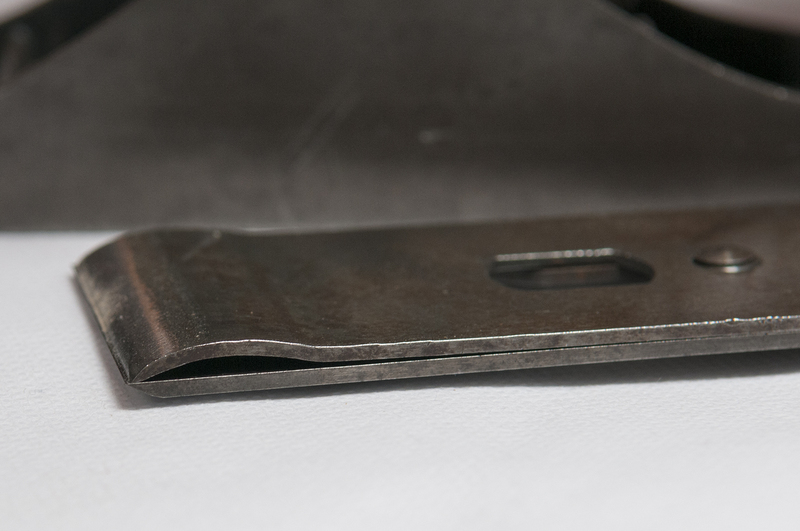 As I said, you ideally want everything to be at perfect right angles, but that’s not always what you end up with. 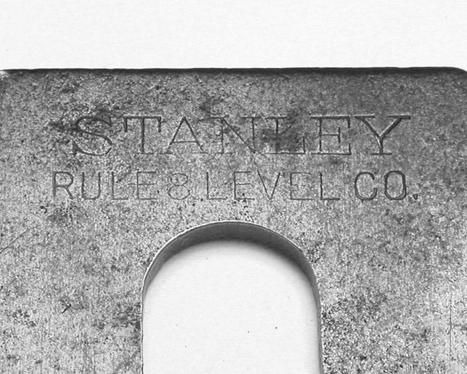 By adjusting the indexing block so that it’s properly aligned in conjunction with the cutting edge on the iron, even a skewed edge can be aligned properly. Remove the lever cap and set it aside. 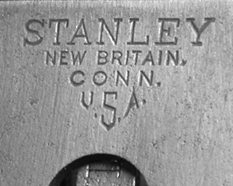 Loosen (slightly) the indexing block that’s attached to the iron, just enough so it moves independently against the iron. 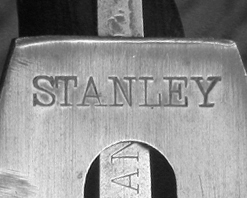 Put the iron in place (seating the indexing block to engage the depth adjustment). 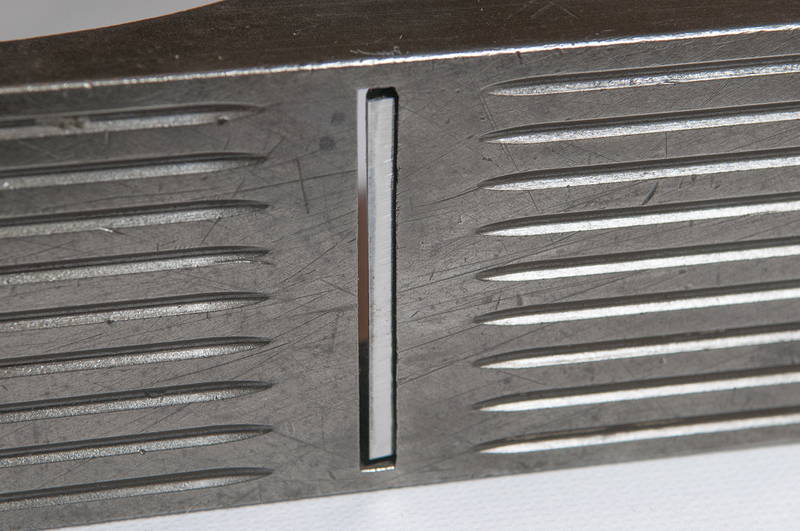 Align the iron with the mouth opening, and carefully tighten the screw on top of the indexing block. Put the lever cap in place and tighten it. You should be good to go.